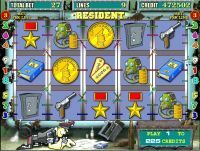 Game RESIDENT is a 5 reel video slot with the opportunity to increase the win in the risk game, and get additional wins in the bonus game. The main game - you can choose the number of lines from 1 to 9 and bid on the line from 1 to 25. Three or more subjects in the same line give winnings under the table, which can be found by pressing the button HELP. 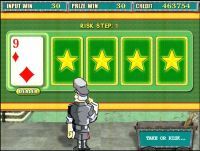 The risk increases-game winning 2 times at each step, at the opening of player cards more than the dealer's card. The number of attempts is displayed on the screen. 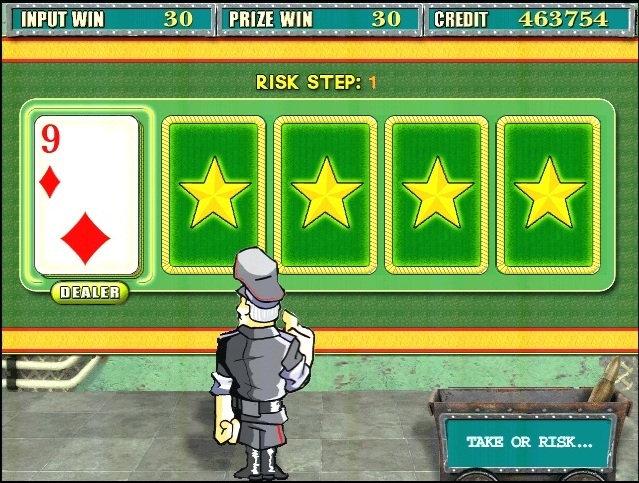 The player may terminate the risk-win game and pick up at the opened dealer's card. 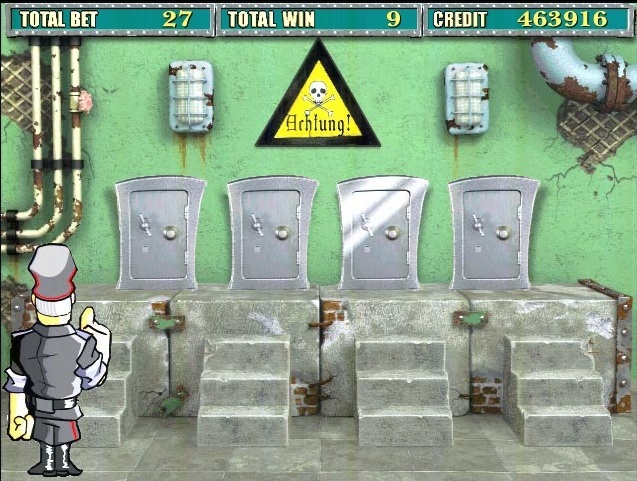 As a bonus, you can play in any sequence to the saves the player has chosen. In case the subject is other than the dynamite, a player receives a prize. Otherwise, the bonus game is terminated. If a player is playing at high rate, then the resident has a fire extinguisher, through which cleared a dynamite. 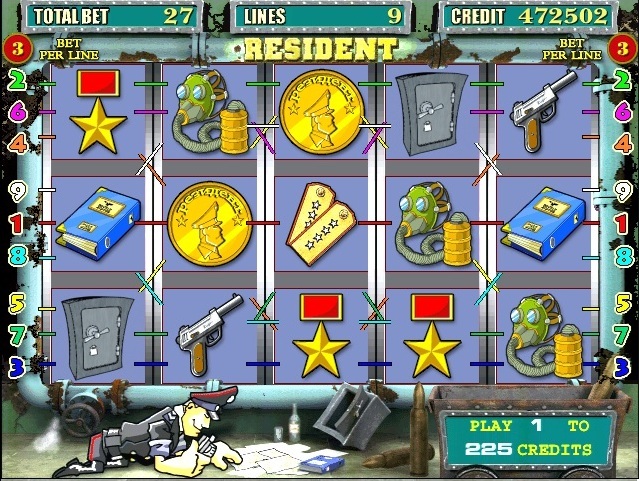 In case all saves are opened, the player receives the Super Bonus game. In Super Bonus game the player has to guess, behind which is radio operator. There are two doors on the screen. One of them contains a prize. 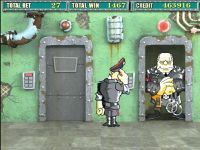 On clicking the button, the corresponding door will be opened.